Urbanisation and industrialisation — the two words that can solve India’s current power woes. India’s power sector continues to suffer from poor technical and financial performance. The sector is notorious for bad credit, with over Rs 1.7 lakh crore in non-performing assets. Privately owned, coal-fired power generation units ran only 55 per cent of the time in the financial year 2017-2018, while the government’s goal is to reach an utilisation rate of 85 per cent. Load shedding and outages continue to plague rural areas. The root cause of these problems is India’s economic structure. If India had more industrial and urban consumers, who would pay higher electricity tariffs for better service, the problem would disappear. Similar to other emerging economies, India’s electricity pricing is based on a cross-subsidy. Industrial consumers pay higher prices than households, and agricultural consumers obtain either heavily subsidised or even free electricity in many states. In Punjab, for example, agricultural electricity is free after a government subsidy for most users, whereas the largest industrial consumers pay over Rs 6 per unit. Under this system, India’s power sector has few sources of real revenue. Most households consume very little power, while many agricultural users pay virtually nothing for running their electric pumps. Only industrial consumers and India’s urban middle class consume enough to bring in real revenue. In principle, the problem would disappear if state governments raised electricity prices for households and agricultural users. However, doing so is politically difficult as higher electricity prices are a visible cost that voters attribute to the government. As household electrification proceeds under Prime Minister Narendra Modi government’s Saubhagya scheme, the problem grows more and more serious. Tens of millions of households are connected for the first time, often at a high cost. Most of them consume so little electric power that the government cannot even recover the cost of the connection. If a rural household pays Rs 100 rupees per month for electricity, the total revenue over five years is only Rs 6,000. From that, the government needs to subtract the cost of electricity service, maintenance, billing, and customer service. As the number of such consumers increases, power sector finances plummet. Latin American countries show how much easier solving the problem is in a predominantly urbanised country. As we show in our new book, Escaping the Energy Poverty Trap (MIT Press, 2018), Brazil and Chile completed their rural electrification in the context of high levels of urbanisation and advanced industrialisation. Because the rural segment was small, relative to the total power demand, the governments could afford to heavily subsidise rural electrification and offer good service to remote villages. Brazil is Latin America’s largest economy. In 1980, before democratisation, two-thirds of all Brazilians lived in cities already. When President Lula started his Light for All campaign in 2003, the urbanisation rate stood at over 80 per cent and the cost of electrifying the countryside was low relative to the vast power sector. 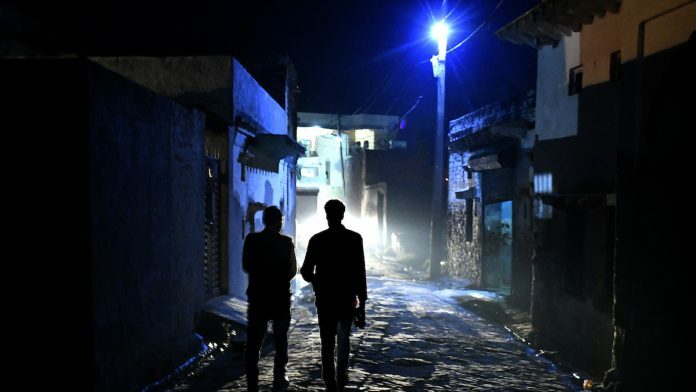 The Brazilian government offered generous subsidies for rural electrification, but the total burden on the power sector was tolerable because most people already lived in cities. In Chile, the story was similar. The country democratised and General Pinochet gave up power in 1990. The democratic government started a rural electrification drive funded by subsidies to privatised electric utilities. Even though the cost of reaching the remote mountain communities was high per household, the total cost was low because four-fifths of all Chileans already lived in cities. These experiences suggest that India’s ailing power sector needs, first and foremost, urbanisation and industrial growth. Urbanisation reduces the cost of electricity service, while industrialisation creates anchor loads that can generate profits for the power sector. Today, only one-third of Indians live in urban areas and one-fourth of India’s gross domestic product is in industry and production. In such circumstances, the power sector faces insurmountable obstacles. Both urbanisation and industrialisation create non-agricultural jobs that pay better than farming or day labour. These jobs reduce the importance of energy cost for households, as higher incomes mean the electricity bill will be a small percentage of the total. The good news is that India is already urbanising and industrialising. As these trends continue over time, the negative effects of cross-subsidy on the power sector will be mitigated. Delhi CM is dreaming of free electricity.